Swimming. It’s a great skill to have. And if you start them off from a young age, they’re more likely to pick it up and not be afraid of the water. But, like anything in the baby and toddler world, there’s a whole lot of kit available. And let’s be honest. It can be pretty confusing knowing what swimwear does what and when you should use it. We’ve broken down all the different types of swimwear available for kids to give you a hand, whether it’s for swimming lessons or holidays by the pool and beach. Whether you’re taking them for swimming lessons or to the beach, they’re going to need something that catches those erm, accidents. And that’s where reusable swim nappies come into play. Essentially these are what they say on the box. A swim nappy that can be reused. And there’s some great pros. Not only are they environmentally friendly, but they’ve been designed with fabrics that let them move without any restrictions. And there’s a range to choose from. Splash About Happy Nappy, £11. If you’re taking them to swimming lessons then you’ll need a double layered nappy and one that really holds in those little accidents. The Splash About Happy Nappy is swim school approved making it, well, a no brainer. It’s made of soft neoprene, which is shaped into two back pieces to cup their bottom and then held securely in place by a gusset. The waist and leg fabric grips them comfortably ensuring that no accidents leak out no matter how much they move. The front rib of the nappy is designed to roll gently down under the tummy button to form a seal and keep their skin from getting irritated. 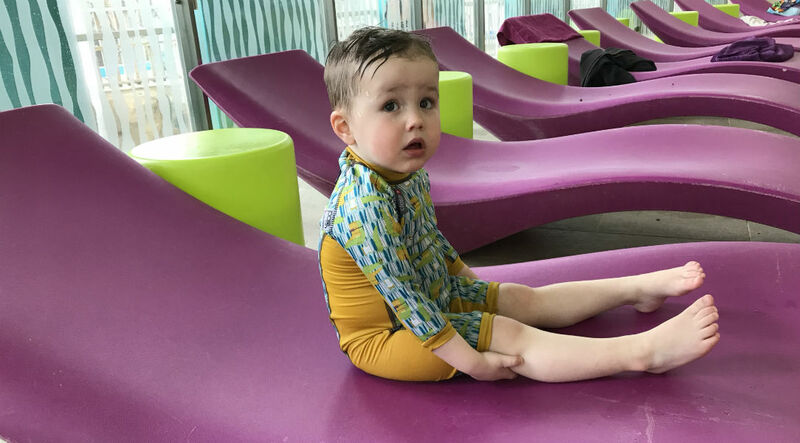 Chlorine resistant so the colour doesn’t fade, there’s also the added bonus of this being UPF 50+ protective, meaning that it can be used to keep them safe on holidays too. Just make sure you buy the right size for their age. 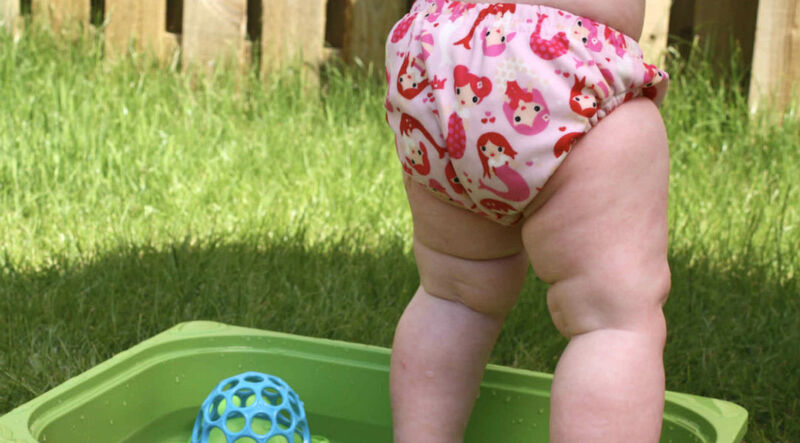 It may be tempting to go up a size, but too loose, and these nappies just won’t work. Bambino Mio Swim Nappy, £10. 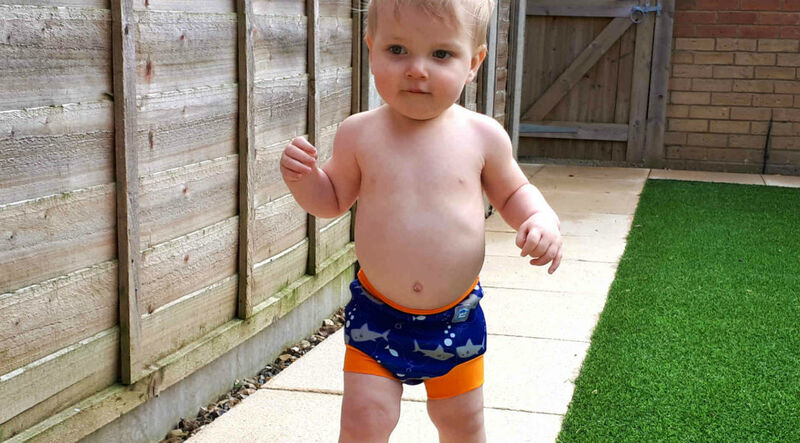 If you’re heading on holiday, a lighter option such as the Bambino Mio Swim Nappy, is a great choice. Made from lightweight fabric, it won't weigh them down while they play or splash about. There's a concealed water resistant layer to catch accidents, while the leak-proof legs mean that everything stays in one place. As it’s also the similar shape as a standard nappy, they (hopefully) won’t have any gripes about having it on - familiarity and all that. It doesn’t require any additional liners so just pop it on and you're good to go. And there’s a few styles to choose from when it comes to this type of swimwear. Close Pop In Rash Vest, £14. If you’re heading for super hot climes and want a rash vest that’ll keep them cool, then a short sleeve option may work better. This Close Pop In Rash Vest does the same job of keeping them warm in the water and safe in the sun. It has a neck fastening, making it easier to pop on and off, while the stain resistant fabric makes it simple to keep them clean...well maybe. Just add the suncream to the exposed parts of their body and they’re good to go. There’s a range of kids’ all-in-one swimwear to choose from, but ultimately, these do pretty much the same thing - keep them warm in the water and safe in the sun. Usually made of neoprene or polyester, they’re insulated, quick drying and offer all over sun protection too. Close Toddler All-in-one Swimsuit and Hat, £22. 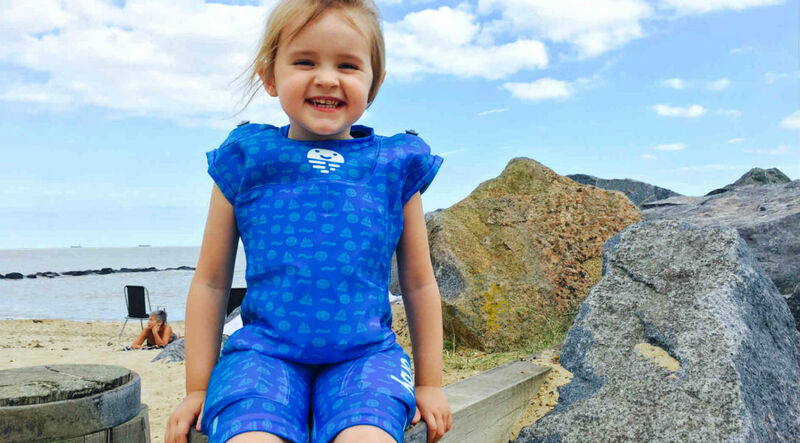 If you’re looking for something that will keep them sun safe and help them learn to swim, then the Orby Jetsuit may just become your new BFF. Made out of wetsuit fabric, it provides all the warmth and sun safety you get with an all-in-one. But then come the adjustable air pockets for buoyancy, eliminating the need for armbands. 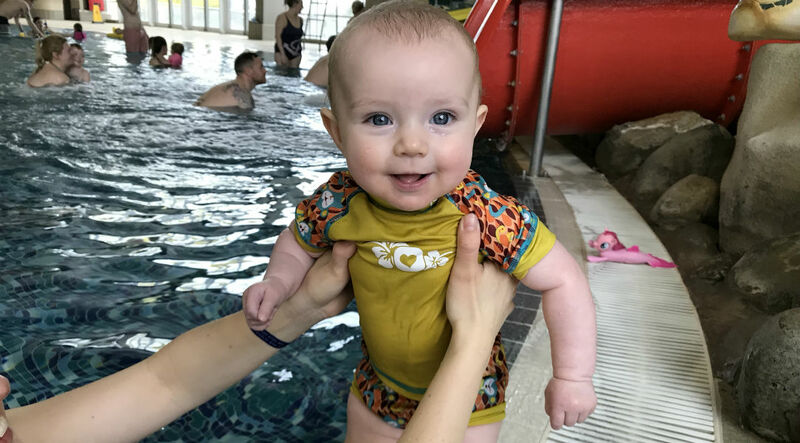 This means you start the suit fully inflated, and as they get better and more confident at swimming you can reduce the air in the pockets until they're bobbing along on their own. It’s a pretty cool piece of kit huh? And there it is, a guide on kids' swimwear from rash vests, swimsuits and swim nappies. Happy swimming guys.